The perfect 'hot-spot' for drinks and social gatherings. Mahogany Bar with Matching Back Bar Rental. 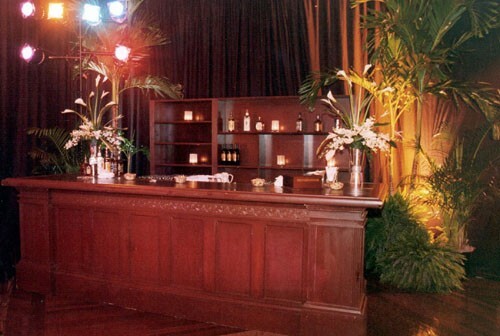 Our mahogany bar measures 12' wide and features an 8' wide matching back bar. This large elegant bar can provide the perfect 'hot-spot' for drinks and social gatherings.